As long as you’re working towards LESS war, i don’t care what colour your poppy is. We’re all familiar with the red flower which adorns the breast of Canadians, Americans and Brits as they pay tribute to veterans of these countries’ wars. The movement emerged in the 1920s as part of Armistice Day as people gathered to commemorate those lives lost during The Great War. The White Poppy Campaign also emerged around the same time. In 1926, Pacificts created these white flowers as part of the No More War Movement. Veterans Affairs Minister Julian Fantino thinks the White Poppy needlessly politicizes Remembrance Day. He said, “Remembrance Day is about paying tribute to the valour and courage of those who set the very foundation of the freedoms that makes our country great (White Poppy Under Fire).” Isn’t remembering their sacrifices for the FREEDOM without WAR part of that? Here are some fantastic resources to do this in your own classroom. 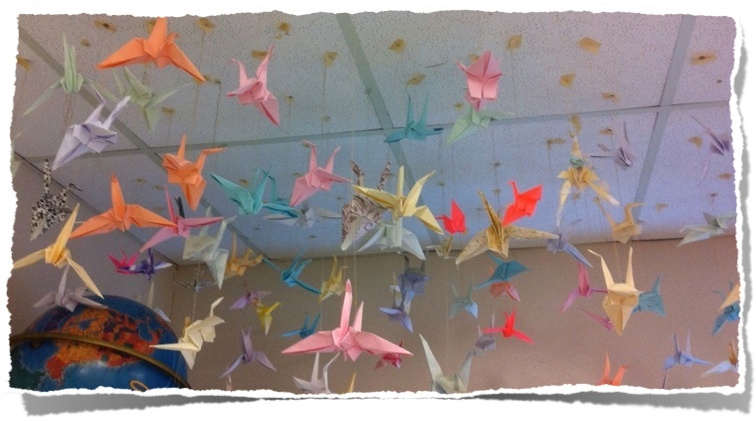 1) Read Sadako and the Paper Cranes and fold peace cranes from origami. Hang them in the classroom as a reminder of Peace. 2) There is an entire month’s worth of lessons at the website, Cultivating Peace. 3) Discuss the following short films.